I’m not gonna lie. Sometimes, developing your psychic abilities is tough. In theory it’s not difficult at all. In reality, it’s not always easy to allow ourselves to surrender and embrace our natural intuitive state. You might be on your journey and want to quit. You might look at Theresa Caputo or Monica the Medium and wonder if you’ll ever be able to help people and give readings with the ease that they do. You might wonder if it was always that easy for them. I’ll tell you, it wasn’t always easy for me. 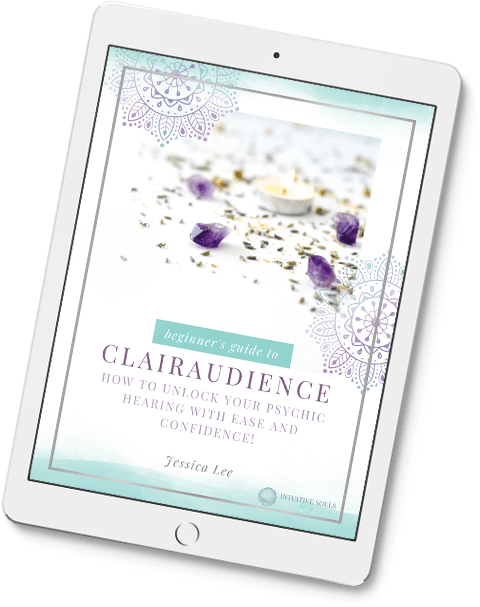 WAY back in 2000, long before I gave professional intuitive and mediumship readings, I sat in my first psychic development class and almost quit because I was overwhelmed by energy. It was one of the MANY times I almost quit. I’ll tell you about it in today’s post. If someone would have said to me, “you’ll be developing your psychic abilities when you’re in your early 20’s,” I would have said, you’re nuts! I’ll be honest, I think I would have preferred crazy! Then, one day, I got a flyer in the mail for a psychic development class at the local community center. It was a spiritual development circle where a group of people would work together several hours per week for six weeks. I wanted to check it out, but I was nervous. My sister-in-law, Monica, was a fan of the psychic Sylvia Browne, so we both decided to sign up. The evening of the first class arrived. I was excited! Monica and I walked in and were greeted by a beautiful woman named Kathleen Hoffman. She explained that she was a psychic medium. Kathleen looked like an earth angel. She radiated a beautiful and positive light! Within 15 minutes, more people arrived. There were nine students in total. Before the end of the class, one quit (no, not me!). Kathleen instructed all of us to pull up a chair and sit in a circle (hence the name spiritual development circle). I looked around the group I would be developing psychic ability with. It seemed like a great group! Everyone was so kind and the carpenter was a really funny guy! Next, we were instructed to read each other… as in, psychically read each other. I think my heart stopped because I was so nervous. I remember thinking, oh my gosh! I can’t read people. I have no idea what I’m doing. What I didn’t know back then was that giving practice readings is key in developing your psychic abilities. The extroverted carpenter volunteered to go first. A funny thing happened about this time. I noticed that I started visibly shaking. I wasn’t cold or too nervous. I didn’t know what was wrong with me. I just shook and shook in a way I never had before. Out of the corner of my eye, I noticed my sister-in-law had tears streaming down her face. I whispered to her, “What’s wrong,” but she just shrugged her shoulders and continued to blow her nose. I had no idea what was going on, but this whole thing was starting to freak me out. I considered leaving, but Monica was my ride. Finally, it was my turn to practice tuning-in and reading the other students. By this time, I was shaking so badly that when I spoke, my voice sounded nervous and unclear. The strange thing was that I didn’t really feel that nervous. It was SO weird! I looked at my sister-in-law with my eyes pleading for help, but she was in worse shape than me judging by the mountain of tissues on her lap. Kathleen told me to share what I felt about the carpenter. I felt kind of silly and was afraid that everything I said would be wrong, but then I thought, C’est la vie! I took a deep breath, surrendered, and started to blurt out what I felt about this man. After a few minutes, I was having fun! Gasp! I know, right?! My voice and body were still shaking, but I just kept going and talking. The carpenter laughed and confirmed a lot of the things I was saying. I was then instructed to share my impressions about the next person in the circle, then the next, and so on. It was fun and I actually got quite a bit of psychic information, but I was still shaking really bad. Shaking might be a teeny understatement. I actually felt like I was going to crawl right out of my skin. My sister-in-law went last. Tears were pouring down her face as she gave her impressions of each person in the group. I had never seen anything like it and, for the life of me, I could not figure out what was wrong with her. We were quite a pair, me shaking and her crying! I remember feeling so strange the rest of the night. I got home and tried to relax, but I couldn’t. I just kept shaking. I felt exhausted, but I couldn’t sleep because I was so restless and hyper. It was hard to concentrate and I didn’t feel present. I was awake all night. It was an awful feeling and I remember thinking if developing your psychic abilities was all about shaking and crying I was ALL SET! At that time, I didn’t have anyone to ask about this stuff, and the internet wasn’t really popular. I called Monica early the next morning. She hadn’t slept, either! But, she knew a lot more about developing your psychic ability than I did at the time and she explained that it was the ENERGY of doing the intuitive work that affected us. This isn’t a bad thing, you just need to be aware of it and learn to work with with this influx of energy. Now, 16+ years later, I know that Monica is an empath. She feels the emotions of others very strongly. A couple of people in our group had gone through some very difficult times and she was picking up on their sad feelings. If you are an empath, you may react to energy in a very strong way, too. But please know this is normal and you CAN learn to control it. As for me, I’m a clairsentient and also an empath, but the energy affected me a bit differently. Remember, at that point in my life, I had never experienced working with energy. Actually, I didn’t even know that psychic ability had anything to do with energy! But I later learned that what I needed was to learn how to get GROUNDED. Grounding is super important in developing your psychic abilities. 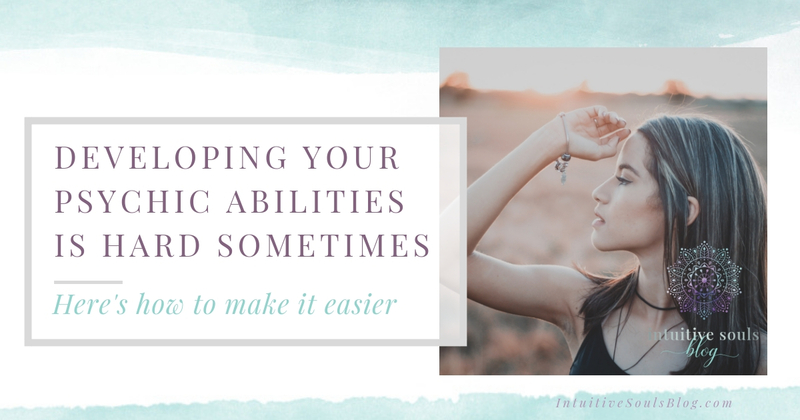 If you are having headaches, feeling shaky or flighty when you are practicing developing your psychic abilities, it doesn’t mean you need to give up. You just need to get grounded. :) That way, you’ll have way more fun on your psychic journey! Or any other fun, relaxing thing that raises your energetic vibe! In other words, don’t force it. Give yourself a chance to rejuvenate. Developing psychic ability isn’t a race, it truly is a journey. There will be days of feeling less than wonderful, but also AMAZING days of personal insight and a unique opportunity to help others on their journey as well. Or, if you’re ready to dive right in and build your psychic muscles, try any of these 28 psychic development exercises. For me, the hardest part is waiting but when a gift opens up, it’s wonderful! Wonderful story here. It’s important to remember that it is a journey to develop abilities, with ups and downs all on its own. Thanks for sharing this! I really appreciate your blog and you have normalized a lot for me. This process is a little messy (emotionally and otherwise). Half the time it feels like I’m totally alone in this process, but things fall together beautifully and (like finding this blog) I’m going to get there one step at a time! Absolutely, Audrey. It really is a journey, complete with highs and lows. Eventually, things do even out :) Lots of love!